So what is actually Hadhari Scorecard? 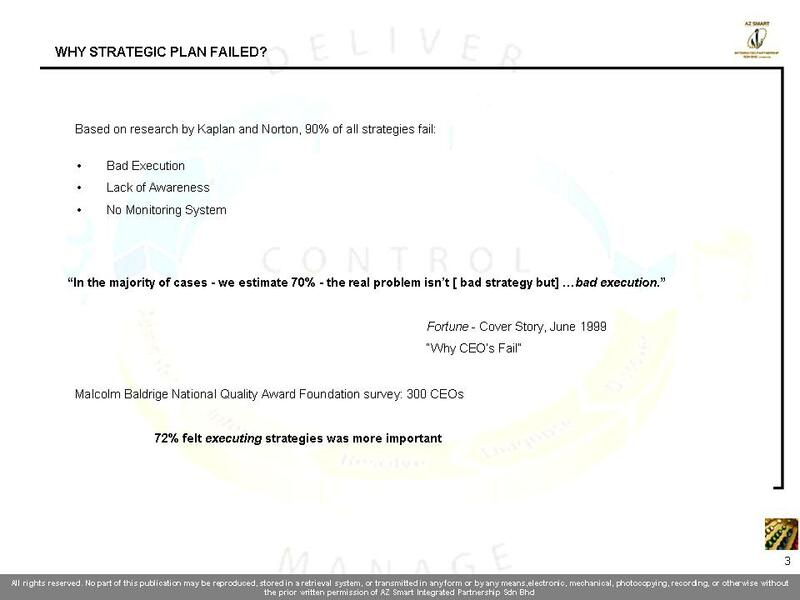 It is a report that monitor organisation, team or individual performance, in achieving organisational goals, the system is highly effective in steering the organisational direction towards effective, efficient and systematic management of overall performance. The system emphasize on integrity and spiritual development. 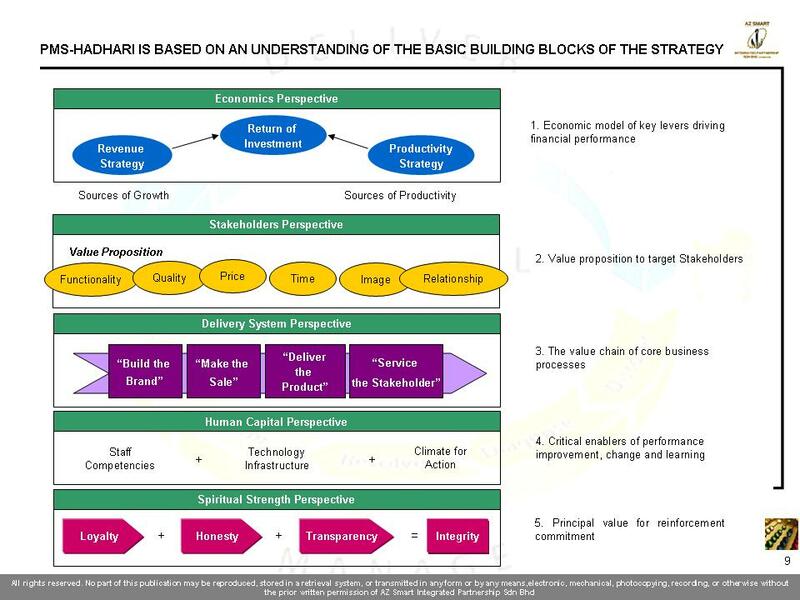 As a conclusion the PMS-Hadhari is an Islamic performance management tools that provides clear direction and ultimately will push higher productivity and create excellent working culture. 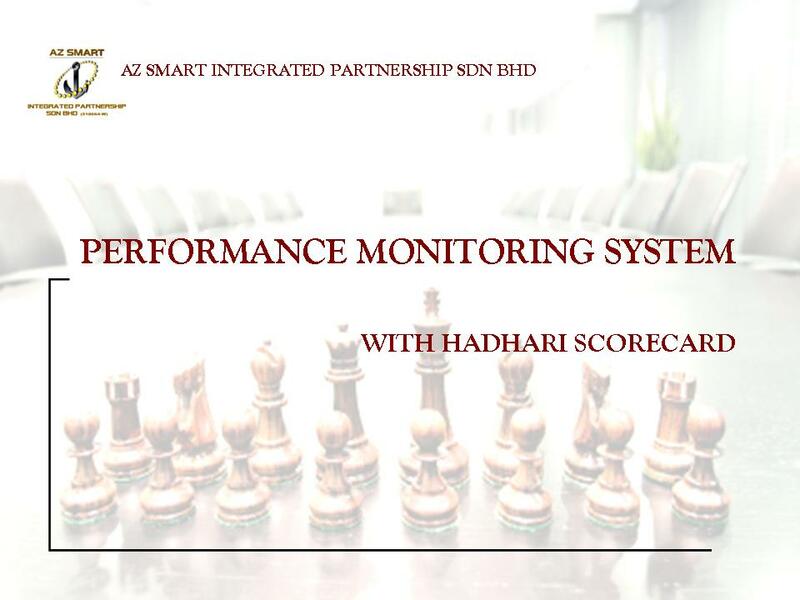 Performance Monitoring System Hadhari is a joint project between UiTM-AZ Smart. The later has been appointed to market and implement the system with full support by UiTM (the system developer). The system is found to be effective when UiTM the biggest university with hundred thousand students implement the system in its organisation. 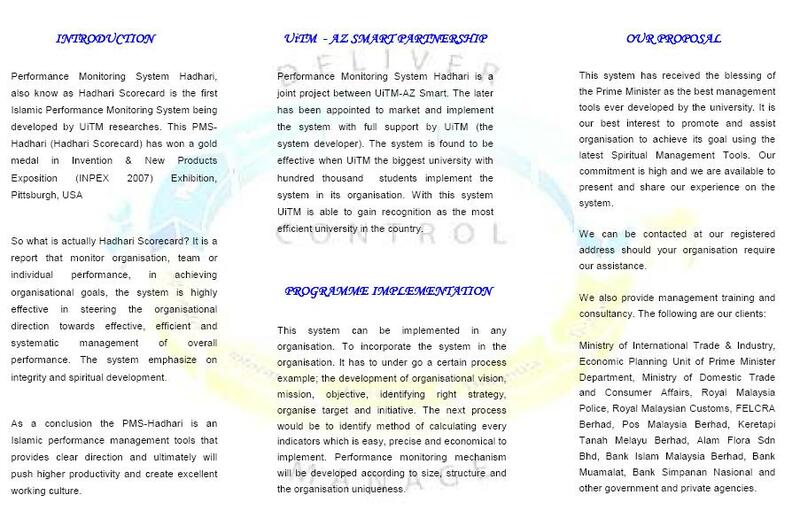 With this system UiTM is able to gain recognition as the most efficient university in the country. This system can be implemented in any organisation. To incorporate the system in the organisation. It has to under go a certain process example; the development of organisational vision, mission, objective, identifying right strategy, organise target and initiative. The next process would be to identify method of calculating every indicators which is easy, precise and economical to implement. 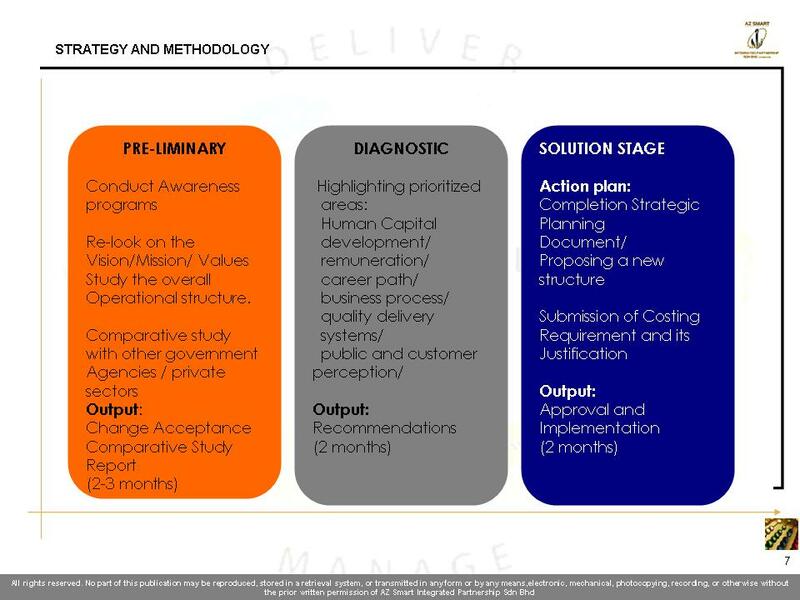 Performance monitoring mechanism will be developed according to size, structure and the organisation uniqueness. This system has received the blessing of the Prime Minister as the best management tools ever developed by the university. It is our best interest to promote and assist organisation to achieve its goal using the latest Spiritual Management Tools. Our commitment is high and we are available to present and share our experience on the system. We can be contacted at our registered address should your organisation require our assistance. Ministry of International Trade & Industry, Economic Planning Unit of Prime Minister Department, Ministry of Domestic Trade and Consumer Affairs, Royal Malaysia Police, Royal Malaysian Customs, FELCRA Berhad, Pos Malaysia Berhad, Keretapi Tanah Melayu Berhad, Alam Flora Sdn Bhd, Bank Islam Malaysia Berhad, Bank Muamalat, Bank Simpanan Nasional and other government and private agencies. 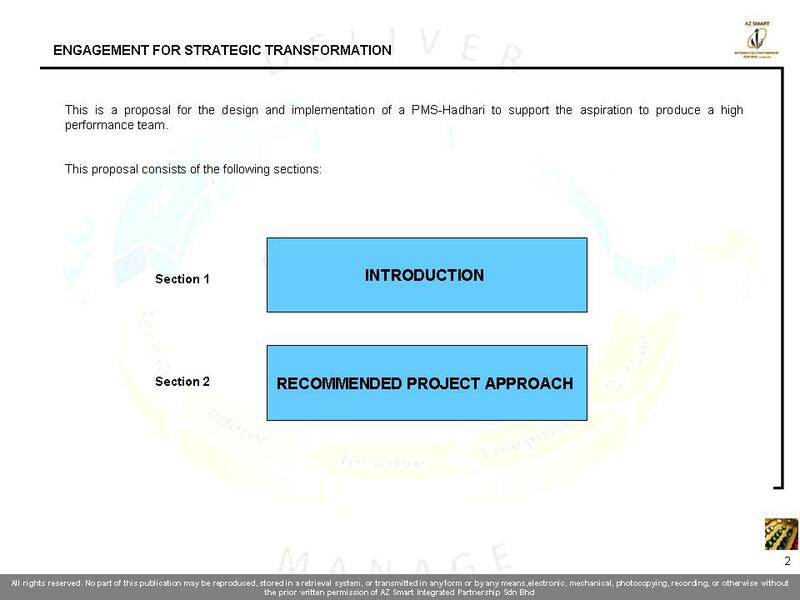 This is a proposal for the design and implementation of a PMS-Hadhari to support the aspiration to produce a high performance team. WHERE ARE WE IN OUR EFFORTS? 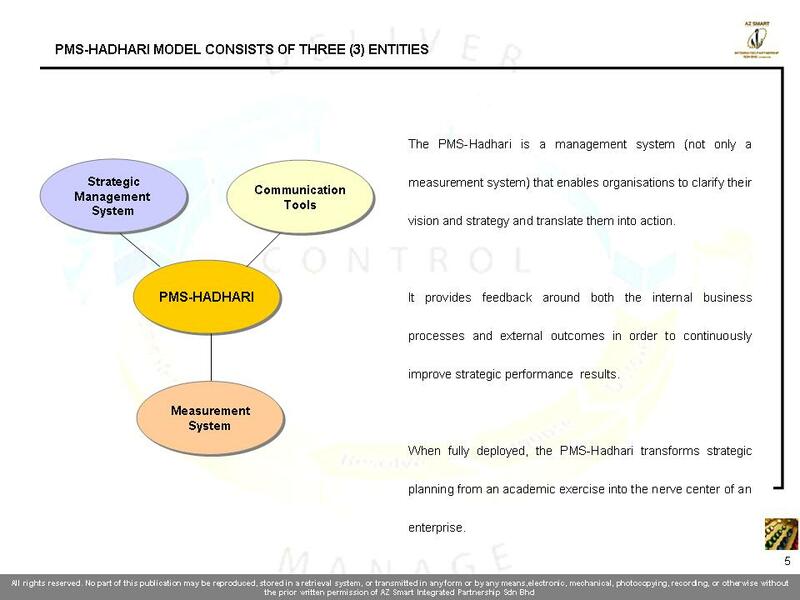 The PMS-Hadhari is a management system (not only a measurement system) that enables organisations to clarify their vision and strategy and translate them into action. 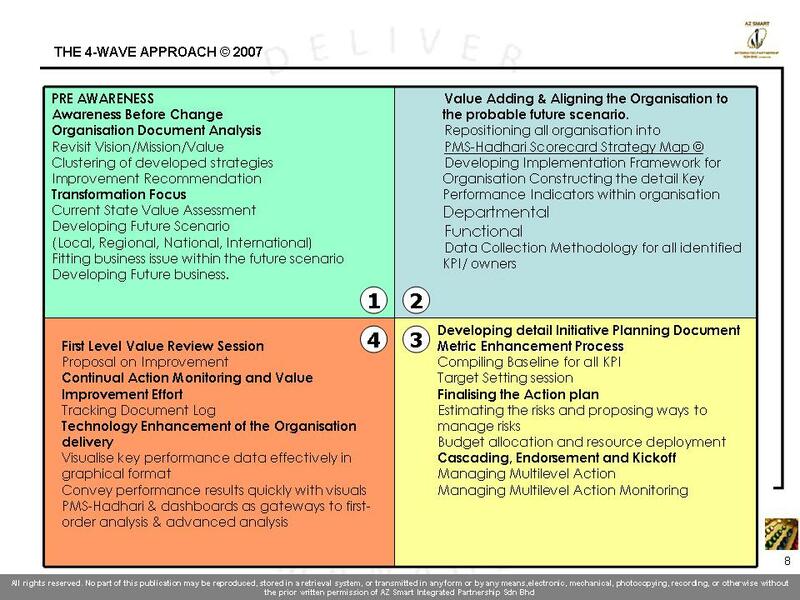 It provides feedback around both the internal business processes and external outcomes in order to continuously improve strategic performance results. 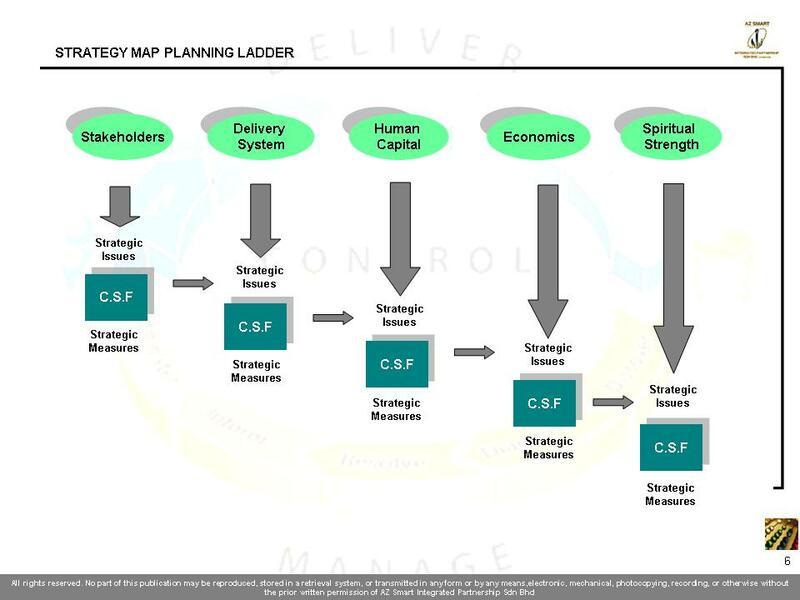 When fully deployed, the PMS-Hadhari transforms strategic planning from an academic exercise into the nerve center of an enterprise.